How much do you love froyo? 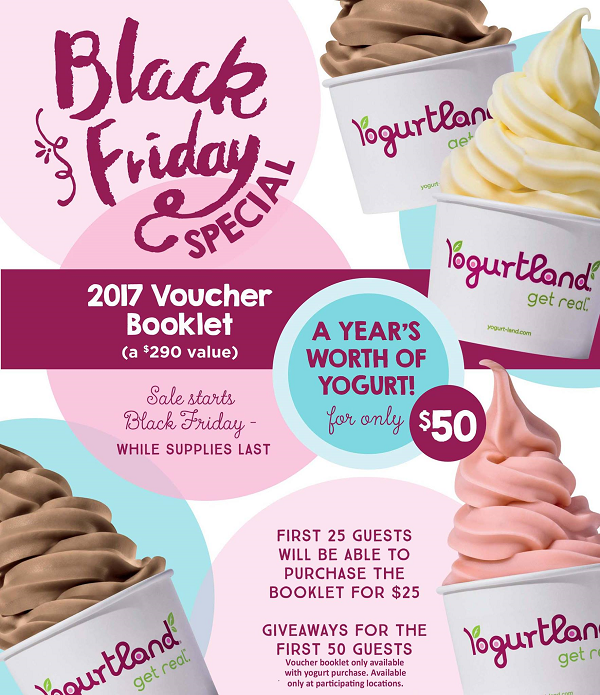 If your answer is somewhere north of “a little bit,” Yogurtland is offering a Black Friday deal that will melt your heart. 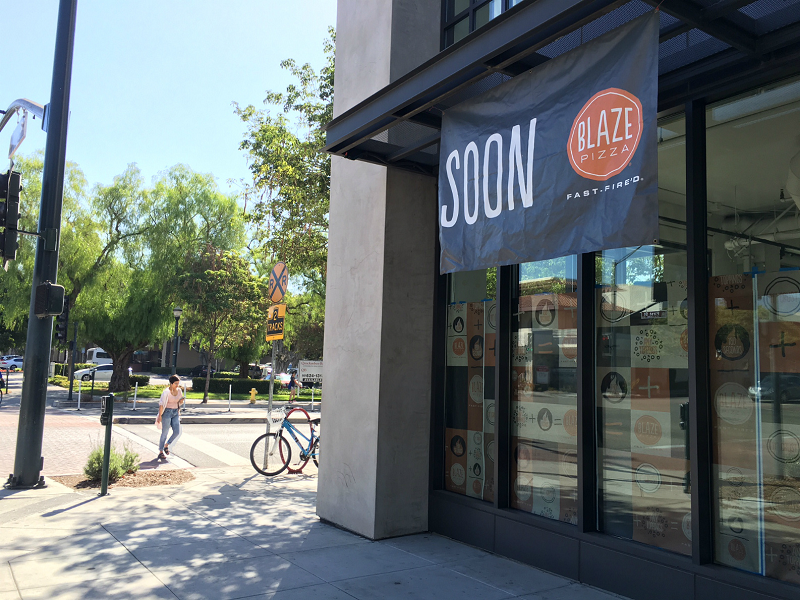 The Inland Empire’s newest Blaze Pizza opens today (November 22) in the former American Apparel shop in the Claremont Village, 1 N. Indian Hill Blvd., Suite D-100. The location will host a free pizza day for the chain’s social media followers from 11 a.m. to 11 p.m. December 1. 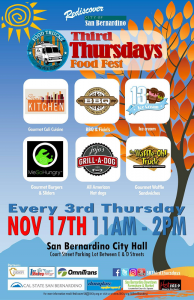 We’re huge fans of the monthly Third Thursdays Food Fest in San Bernardino, and today’s (November 17) event brings two more reasons to be excited. Two trucks are making their debut: 13 Ice Cream and Street Kitchen! Street Kitchen is new to us, but we’ve long been fans of 13 Ice Cream’s delicious traditional — and non-traditional — ice creams. What to expect? Besides the usual strawberry and cookies and cream flavors, how about spinach, kale or broccoli? No? How about marigold, saltine or garlic? Krispy Kreme continues its recent expansion wave by opening a new doughnut shop in Menifee tomorrow (November 15). The first 10 guests through the door will receive one free dozen Original Glazed doughnuts each week for a year. The next 50 guests through the door will receive one free dozen Original Glazed doughnuts each month for one year. First 100 guests in line will receive a commemorative T-shirt. Registration begins at 3 p.m. today. Every year, restaurants roll out the red carpet for veterans and active duty military in honor of Veterans Day, offering free and discounted meals. Here’s a look at what’s being offered this year. 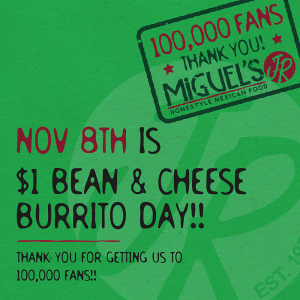 We might not agree on who to vote for tomorrow (November 8), but a $1 bean and cheese burrito from Miguel’s Jr. is something we can all stand behind. The Corona-based Mexican fast food chain is offering the deal for reaching the milestone of 100,000 Facebook fans. 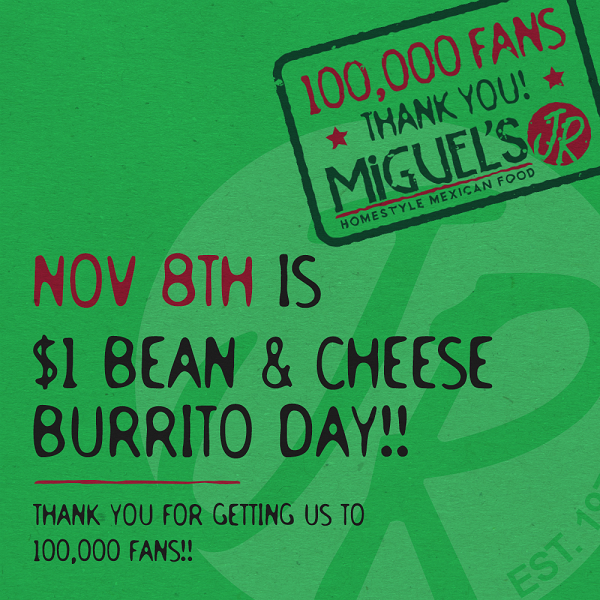 The deal is good all day at all locations, and is limited to one burrito per person. Inland Empire Miguel’s Jr. locations include Ontario, Fontana, Grand Terrace, Riverside, Moreno Valley, Norco, Corona, Menifee and Murrieta.